Ms. Janice Reeves, of 150 Shady Rest Court NW, Milledgeville, Georgia passed away on Sunday, December 2, 2018 at Navicent Health Baldwin, Milledgeville, Georgia. Funeral services were held on Friday, December 7, 2018 at 11:00 am from the St. John CME Church in Gordon, Georgia. The interment was held at the Rose Hill Cemetery immediately following service. 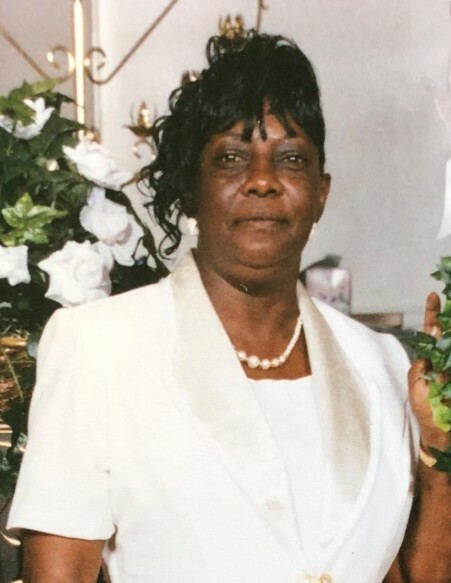 Mrs. Janice Lewis Reeves departed this life at the Navicent Baldwin Health, Milledgeville, Georgia on Sunday, December 2, 2018. She was born in Gordon, GA, Wilkinson County on June 15, 1948 to the parentage of the late Willie James Jones and the late Ada Mae Burney Jones. She was preceded in death by her father, Mr. Willie James Jones, mother, Mrs Ada Mae Jones, one sister, Miss Patrice Michelle Jones, two brothers, Mr. Steven Jones and Mr. Kenneth Lewis. She was employed by Central State Hospital, Milledgeville, GA for 34 years. Mrs. Reeves leaves to cherish her memories: a devoted husband, Mr. Chester Reeves, Sandersville, GA; two sons, Mr. Terrell Lewis (Demetress), Mr. Delriko Reeves (Julissa) of Milledgeville, Georgia; three sisters, Jackie Fordham of Toomsboro, GA, Regina Willis (Willie C) of Coopers, GA, Sandra Jones, Milledgeville, GA; three brothers, James Jones of Hartford, Connecticut, Keith Jones of Toomsboro, GA and Stanley Jones of Gordon, GA; six grandkids, Terrell Holt (Valencia) of Irwinton, GA, Delqwon Reeves of Thomson, GA, Shajada Lewis and Deshannon Holt of McIntyre, GA, Brenlynn and Marlynn Reeves of Milledgeville, GA; four loving cousins, Mr. Walter Cantrell and Mr. Russell Cantrell of Hartford, Connecticut, Mr. Carlton Camtrell of Macon, GA, Mr. Anthony Cnatrell (Shirley) of Gordon, GA; twenty nieces and nephews; devoted mother-in-law, Christine Reeves; brother-in-law, Larry Reeves (Marylnn); sister-in-law, Cathy Reeves of College Park, GA; devoted friend, Myra Ingram of Milledgeville, GA; a host of other relatives and friends.